Psychology is gaining importance day by day and hence it is important that more and more people are aware of the facts and findings that are happening all over the world. The spread of the knowledge of the subject is of great help in bringing in improvement in the quality of life to such a complicated life that we have today. Spreading the knowledge through books is the best possible way. A book is a friend for all times to come. It can be read many times over. 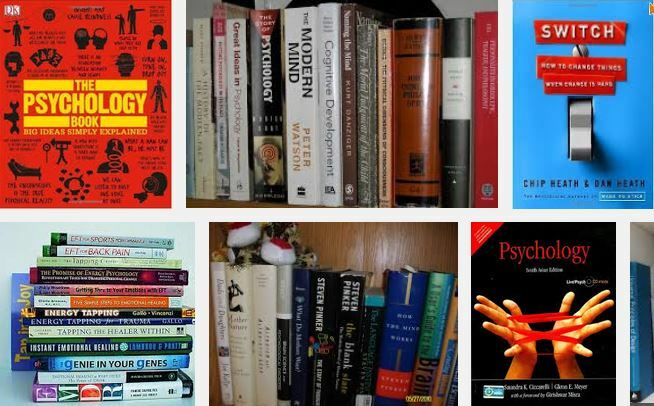 Particularly for a subject like this a collection is like a treasure to be cherished for life and more so if they are the best psychology books. Daniel Kahneman in his ‘Thinking fast and slow’ explains as to why we think and react. It helps in explaining as to why we react in a particular way. We can change and control our behavior and this is established by Timothy Wilson in her book Redirect. She explains the means by doing so with the help of recent researches and various therapies that are available in the present world. Another book by Timothy Wilson titled –‘ Strangers to ourselves. The Adaptive Unconscious is a good book to read. It explains as to why we do certain things unconsciously. Motivation has slowly but steadily grown in stature for the purpose driving a man to achieve a goal but the well being of the society at large. This subject has been popular in all spheres of life. As there is so much stress laid on it, researches are being carried out in this area. Daniel Pink has written a book called ‘Drive’, wherein he has attempted to capture the findings of the research work. This book helps to throw light in new areas to improve upon it. Daniel Ariely’s – Predictably irrational is another book that has had impacted me on as to its content. The field of Psychology though in its nascent has so many great people working on the subject that all the great works can be reasonably listed out.